KAMPALA- President Yoweri Museveni has said that the logistic improvement of the Northern Corridor will greatly contribute to the economic development of Uganda. President Museveni made remarks today Wednesday at Nakivubo Blue Primary School after a groundbreaking ceremony to commence construction of phase one of the Shs. 224 billion Kampala Fly Over project. The President said that the Greater Kampala Metropolitan Area (GKMA) is not only a major centre of politics, administration, manufacturing, commerce and logistics of Uganda but also a major transit point on the Northern Multimodal Corridor which links landlocked neighbouring countries to the Port of Mombasa in neighbouring Kenya. “The project will improve urban transportation in Kampala City Centre because newer roads are easier to drive on meaning that your daily commute will be faster and less wear and tear on your vehicle,” he said. 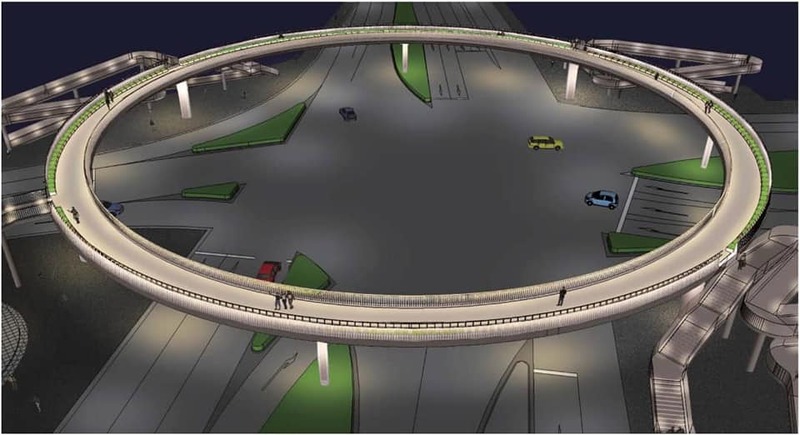 He added that other benefits will include reduction of traffic congestion as the fly over would remove vehicles that pass through; acquisition of skills and knowledge by Ugandan Engineers and technicians; employment to both skilled and unskilled laborers. The project will also promote and support industrial growth by consumption of local steel and other building materials and improve the safety of the pedestrians who will pass above roads on pedestrian bridges, among others. 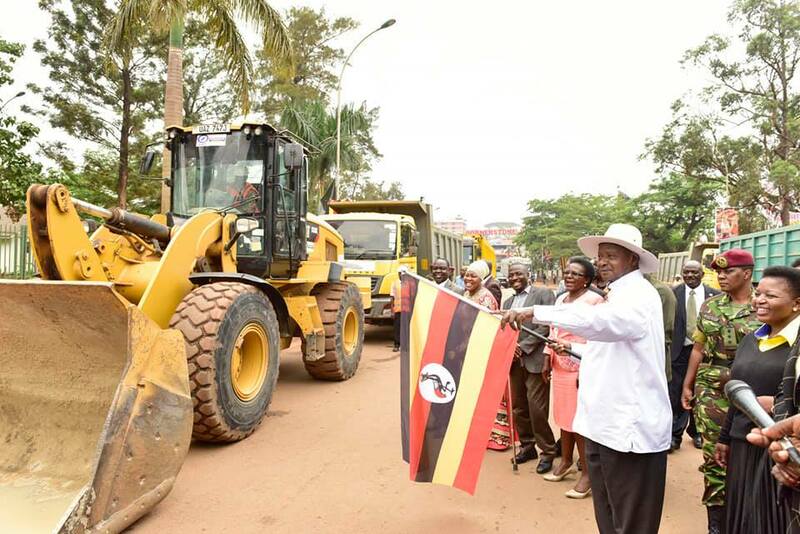 The President thanked the government of Japan through its Japan International Corporation Agency (JICA) for financing various sectors and projects such as the Source of the Nile Bridge which was commissioned on 17th October 2018, Project for Improvement of Gulu Municipal Council Roads in Northern Uganda, the upgrading of Atiak-Nimule Roads’ Project, the Northern Uganda Farmers’ Livelihood Improvement Project and the Interconnection of Electric Grids of the Nile Equatorial Lakes Countries’ Project. The President thanked former Kampala Capital City Authority Executive Director, Jennifer Musisi, for working on roads within Kampala such as the Kafumbe Mukasa road. He said government would construct another fly over for Busega-Kibuye Road and expand the old road. “The construction of modern roads has started. Earlier we were just beginning but we have now started and will not just stop there,” he said. President Museveni said that in the future after the construction of the Standard Gauge Railway, all cargo will be transported by rail and water transport. “When we complete the railway, we shall insist that all cargo uses rail and water transport so that the roads do not tear,” he said. The President used the occasion to wish the people of Uganda a merry Christmas and urged them to maintain peace and report to security agencies any wrong elements. The Minister of Works and Transport, Engineer Monica Ntege Azuba, said that the ceremony was a clear indicator of the success and effectiveness of the partnership that has been established between the Governments of Uganda and Japan over the past 50 years. She thanked the people of Japan for sacrificing their hard earned money to support an infrastructure project of this magnitude. “We know for sure, that this project will significantly contribute to the economic development of Uganda and hence poverty reduction,” she said. She explained that a sound road transport infrastructure was critical to achieving the national aspiration of a strong, private sector-led growth that contributes to economic development and poverty reduction because Uganda still relies on its road network for the movement of over 90% of its goods and passenger traffic. The Japanese Ambassador to Uganda, Mr. Kazuaki Kameda, said that his government was committed to supporting the development of Uganda and that the project would help Uganda address the huge economic losses accruing from traffic congestion. Whereas the Uganda National Roads’ Authority will be responsible for managing the overall construction supervision because of the availability of its skilled and experienced, Engineers, Kampala Capital City Authority (KCCA) on the other hand will second key staff during construction who will, later after completion, be responsible for the operation and maintenance and may seek support from Uganda National Roads Authority (UNRA). The Japanese International Cooperation Agency (JICA) will provide observations and measurements (O&M) equipment.